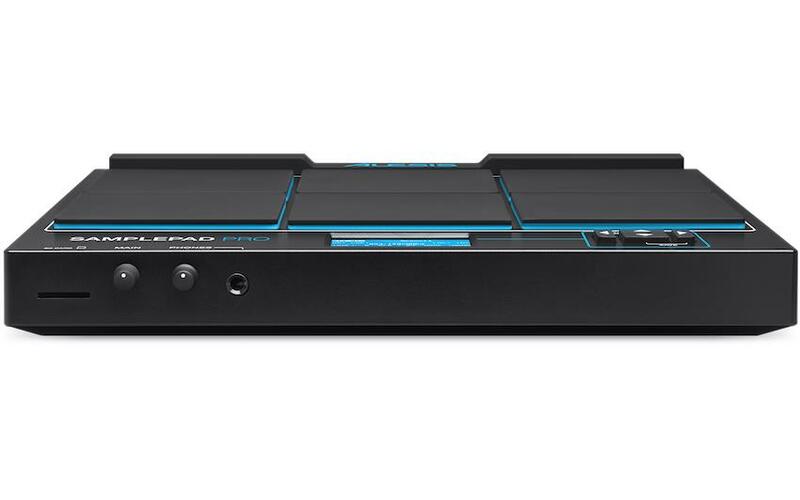 The Alesis SamplePad Pro is a professional, six-pad percussive instrument that features 200 built-in pro percussion and electronic drum sounds. 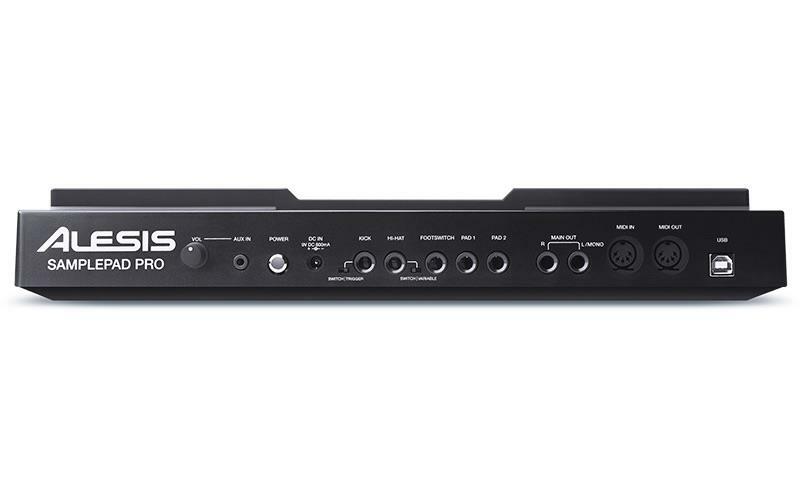 More sounds can be added to the unit thanks to the SD card compatibility of the SamplePad from Alesis, meaning musicians can perform and endless amount of sounds and audio. 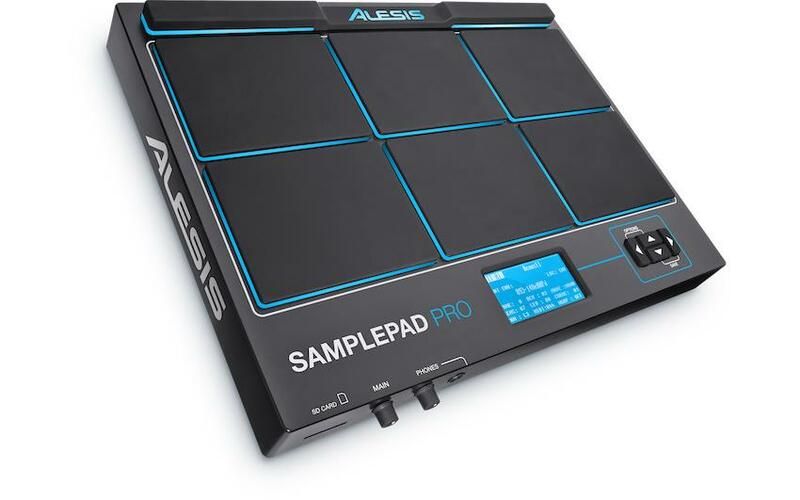 Responsive, brightly lit pads and easy to navigate functions makes the Alesis SamplePad a must-have for any percussionist or producer. Want more pads? No problem. SamplePad Pro has trigger inputs for two additional drum pads. Plus, there are Kick Drum and Hi-Hat pedal inputs. The Kick Drum pedal jack provides both switch and trigger options; the Hi-Hat pedal jack can be set for either switch or variable operation. Adding pads and pedals can transform your SamplePad Pro from a percussion powerhouse into a full-blown electronic drum kit for the on-the-go performer. With an optional module mount, USB MIDI, 5-pin MIDI, and an 1/8” audio input for playing along to your favourite tracks, the SamplePad Pro integrates seamlessly into your existing acoustic or electronic drum kit setup. With SamplePad Pro, there’s no limit to your sonic creativity. Over 200 carefully-crafted drum, cymbal, and percussion sounds are built-in—each created by the professional Alesis sound design team. These sounds are arranged into ten onboard preset drum kits for instant access during performance. You can also use an SD card (up to 32GB, not included) to store an additional 512 of your own sounds and 89 custom kits. Plus, each sound offers individual access to key parameters such as pitch, panning, and reverb for customised control. The user interface is intuitive and fast--- editing and loading your own sounds is quick and easy, even during live performances.